Luxe Box is a Canadian Beauty Subscription Box that sends out boxes 4 times per year. 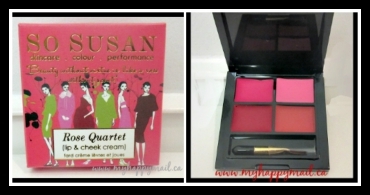 Each box has 7-8 beauty and lifestyle items, usually a mixture of full and sample size items. Cost: $24 / season (quarter plan), $23 / season (semi-annual plan), $22/ season (annual plan) Free Shipping. Sign up using this Link and save up to $8 on your subscription plan. 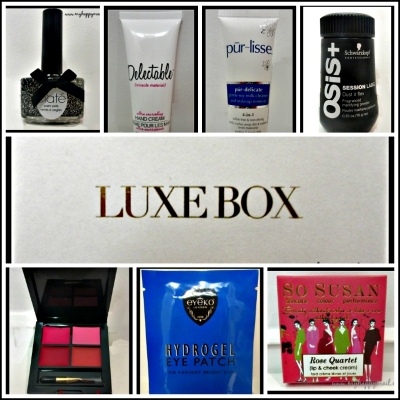 The Fall Edition of Luxe Box had 7 items in it plus one free sample. The colours of this lip & cheek cream are nice but I saw this same item in some Summer Luxe Boxes so it would have been nice to get something completely new. I received this item in my July Topbox. I have noticed many repeat items between LuxeBox and Topbox now that they are owned by the same company. It is the perfect solution for your eyebrows and is called Universal Eyebrow Pencil for a reason as it is one color to suit all skin tones. 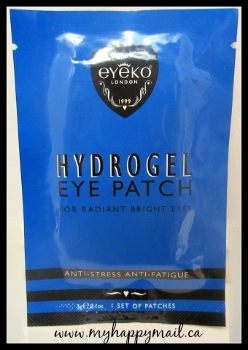 It is soft enough and will make it easy for you to create a perfect shape. Can be applied directly to the eyebrow area then smudge gently with a small brush applicator. 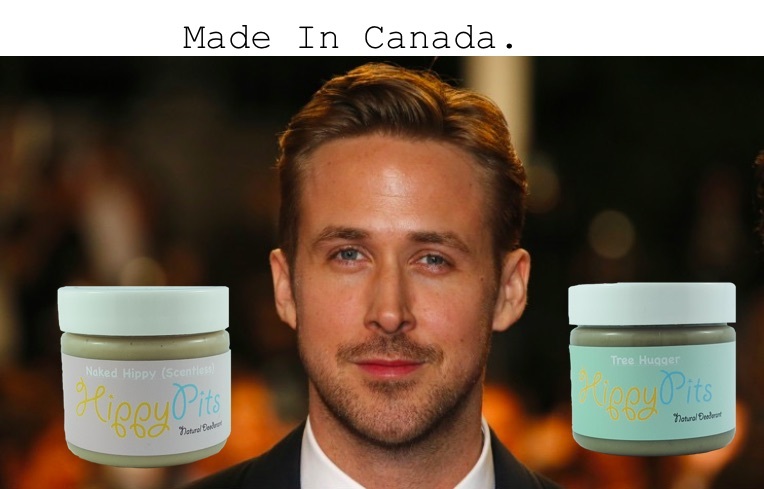 Created with a synthetic beeswax base for a smooth, soft and long lasting application. 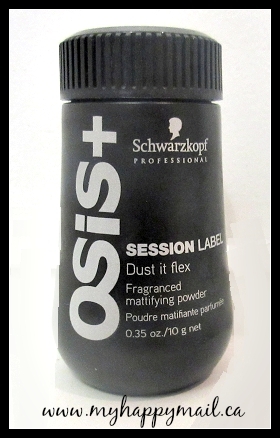 Delivering instant, flexible volume to the roots and lengths of the hair, Session Label Dust It Flex creates a soft, matte effect with stylish rough texture. What it does: Instant flexible volume for roots and lengths, rough effect, soft matte effect and easy wash out. What else you need to know: Perfect for creating the hottest catwalk styles, Session Label Dust It Flex brings session styling performance and premium styling abilities to the comfort of your home. it comes out kind of like baby powder and it’s a grey colour and it’s lightly scented. I like that I received an item that I didn’t know about before. I couldn’t find these in stock anywhere online and they expired in August. I don’t think that using a product that expired a few weeks ago will do any damage but receiving an already expired product in a box is a huge no no and I’m definitely not happy about that. This hand cream smells so good and it moisturizes like a dream. I’ll definitely be repurchasing this item and this was by far my favourite item in this Luxe Box. Well.ca has this item double the size we received on sale right now you can check it out HERE. This is a nice glitter polish that will be great for the holiday season, it’s different than anything else I own. This is a very nice cleanser that doesn’t dry out my skin. Appreciate your skin, don’t irritate it. Cleanse away the day with this gentle, non-irritating blend of soy milk, soy proteins, whole oat and white tea. 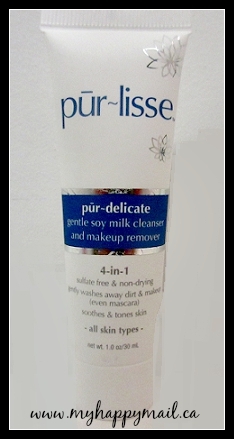 A mild soap-free, non-foaming cleanser that respects the delicate nature of your skin. Leaves your face touchable and silky soft, without a trace of impurity. We also received one bonus item in the box, TRESemme Perfectly unDone sea foam it’s supposed to make natural looking waves in your hair. My Luxe Box this season was just alright for me. A few of the items were great but for the most part I wasn’t overly impressed. That could be just because I subscribe to Topbox and there was alot of crossover in addition to the expired product I just wasn’t feeling Luxe Box this time. If you would like to subscribe or find out more information you can click HERE to visit the LuxeBox website. Do you subscribe to Luxe Box? What did you think of the Fall Luxe Box? 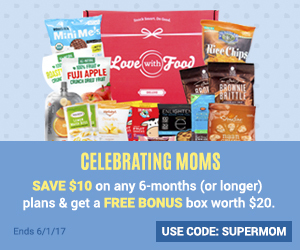 So many subscription boxes these days! I really like the ideas and it truly helps save $$ but I also really love the act of just going to the store and selecting things for myself… Especially when it comes to beauty products, because my skin is very sensitive! I would love a beauty subscription !!!! I think it’s a great price too. Sounds like something right up my alley! I am loving all the items in the box. Love that glitter polish!! Super strange you would receive an expired item tho… where’s their quality control?!? !